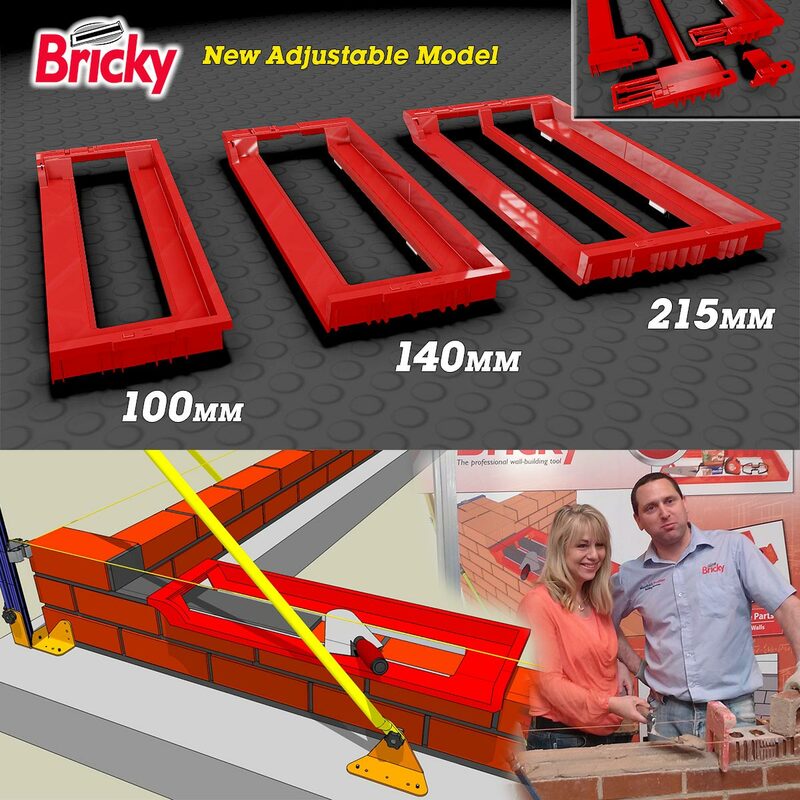 The New Bricky® Wall Building Tool. 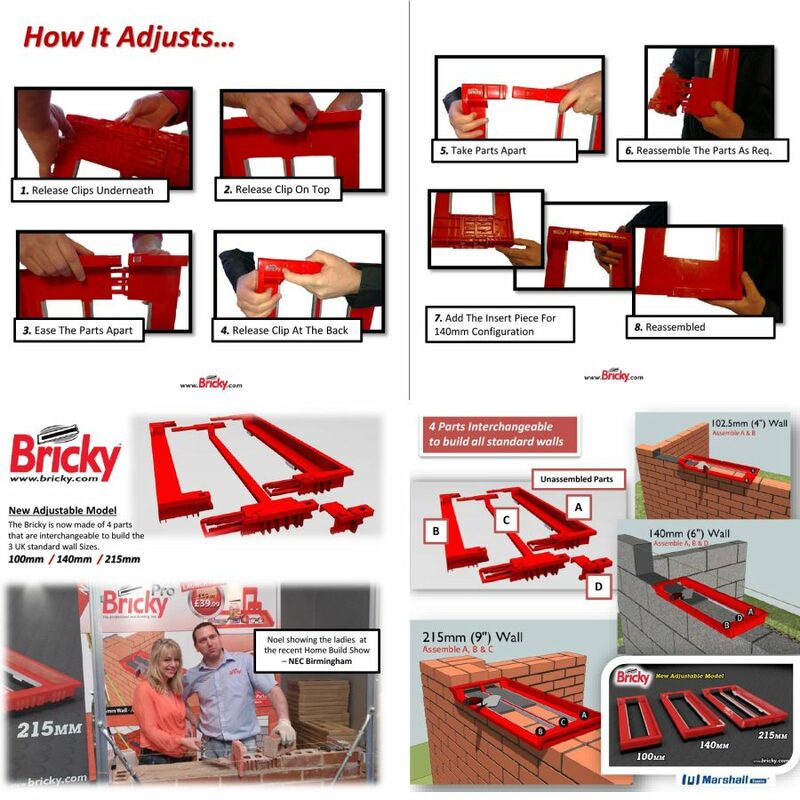 The New Bricky® Adjustable Wall Building Tool. 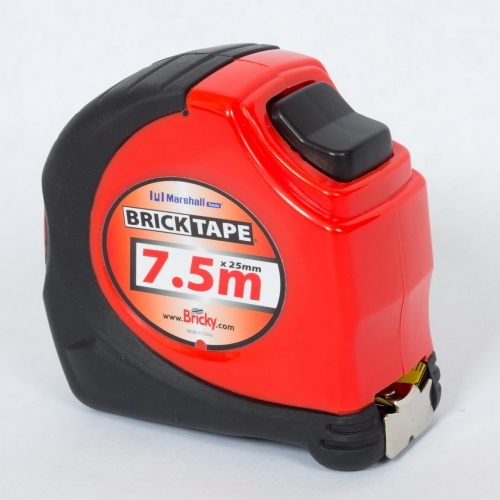 ® Bricky is a registered design product of Marshall Tools Ltd. All Rights Reserved. I’ve never used the product, but the ads are ace, I can’t wait to build my own house with it! Can’t wait to try my hand at bricky DIY projects. See our FAQ’s. Can I use the Bricky to build walls apart from the standard sizes? You certainly can, press the parts together as you require to fit the wall size. Give the front end a good clean after use. Also 150mm concrete blocks are used here. 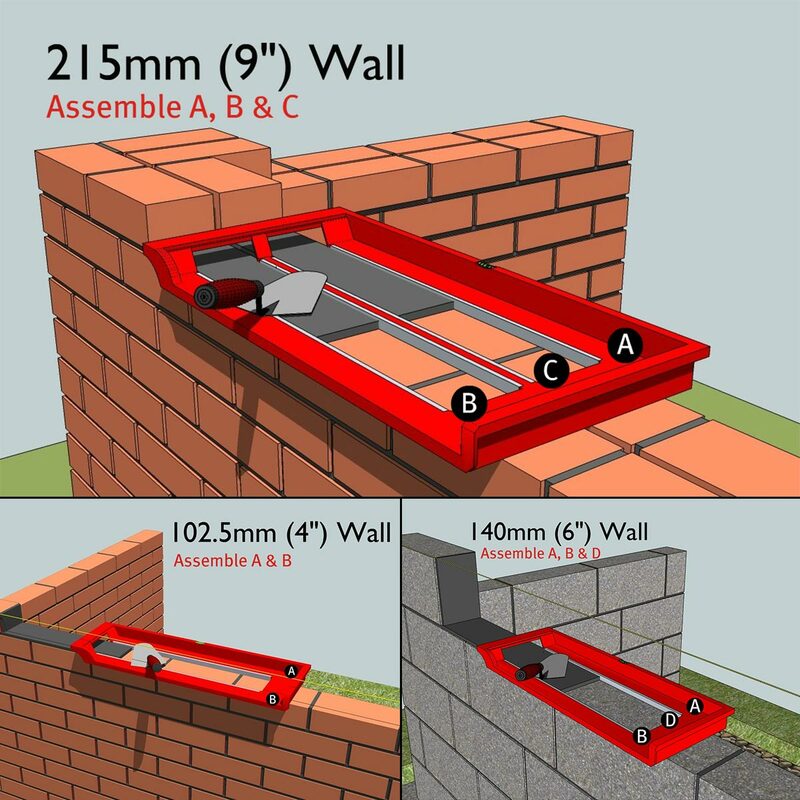 Can I use the Bricky to build walls apart from the standard sizes? The fixed settings are 100mm and 140mm. By not locking the parts together you can gain 30mm giving a rang of 100-130mm and 140-170mm. I ordered the Bricky Tool and it arrived within a couple of days so top marks for that. I think it is good value for money with things like a line guide and good quality trowel provided. I used it for the fist time yesterday and was very pleased with the product. I used it to build a wall, a double row of brick. It helps you lay the brick faster but for me the best part of The Bricky is the fact that you lay the brick on exactly the same depth of mortar every time. Also, the device with which you put mortar onto the end of the brick with is also a great idea. Again, same depth of mortar every time. I’m not a bricklayer by trade so this device is certainly a very useful tool to have. Well done Noel Marshall.